I'm currently writing a novel using google docs. I love it. I can type up some new prose and it is saved automatically. It's also anywhere I am if I have a computer with internet access. In today's world that's pretty much everywhere. I've never used Google docs before for writing fiction but chose to give it a try upon suggestion from a co-worker when I bought a new Apple Macbook Pro laptop. I was thiking about buying an app for word processing, but they suggested just using Google docs. I'm glad they did. It's easy to use, and auto save is my new most favorite feature. It's also easy to format which has become important for me with eBook publishing. Everything I write now is formatted to go straight off to eBook. I have my paragraphs everything all formatted so as I write the manuscript it's good to go after editing. So with this great system set up to get my stories ready for ePublication straight away after I've editted a story why am I trying to write my next novel in a notebook? That's right, good old pen and paper. 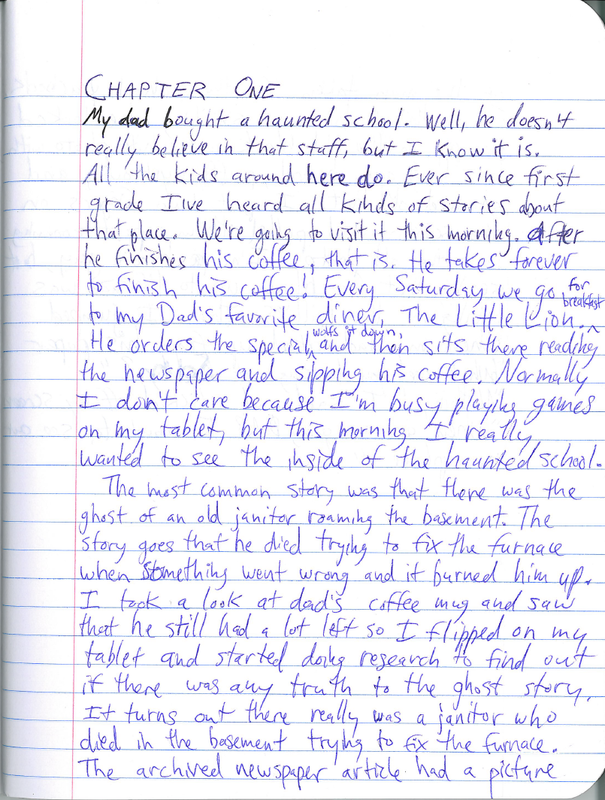 I went out and bought one of those classic composition notebooks and I've written the first few lines of a novel I'm calling "The Meadowhill Ghost." I'm the first to brag about getting a lot of quick writing done on my blackberry, my iPod touch, my laptop, our iPad - I love writing digitally because it's all there and ready to be searched, formatted, edited, etc. Whatever you write is going to have to end up being typed up so why not type it up in the first place right? For the most part I agree and I actually love the physical act of using a keyboard to make words appear on the screen. However, lately somehow I've come across quite a few blog posts on writing fiction longhand. Some just do their planning and outlining on paper, but others write out their whole first manuscript with pen and paper! Sounds a little crazy right? What if you were told that they do this because when they write in this way they get better writing out of it, and once they do get this writing to the screen they've edited it in the process of transcribing it so that they have a better second draft once it's saved in the word processor? It seems alluring to me. Maybe it's just the romantic idea of writing the way some of the greats like Charles Dickens did it before the typewriter came around, but I'm going to give it a whirl with my next novel. 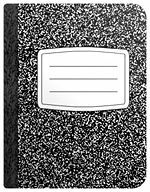 If you want to follow along, I will be scanning and posting each page of novel from my composition notebook on my website. Just click on the tab Novel Experiment above whenever you want to follow my novel. It should be a fun adventure. This was partly inspired by Jeff Hite who recently, on September 1st, started a project in which he plans to write for 365 days consecutively. Check out the project here. That one should be fun to follow along. Unlike me he doesn't like outlines and always chooses to write as an organic writer without much of a plan. For the most part I'm focusing on finishing the novel I workshopped on The Roundtable Podcast called "The Truth About Zombies" using Google docs, listen to the first chapter here, but I'm also slowly scratching away at another book when I find time away from devices to try my hand at writing a story using more archaic tools. I'll probably stick to the keyboard in the end, but I'm still learning what my best way of writing is. I should be writing a trilogy if I want to sell lots of eBooks, but I don't care about selling lots of books so I'm writing in all the different genres right now. I care about becoming a better writer, learning by doing. I've written two fantasy novels, one sci-fi novel, one fantasy novella, a Christian thriller novelette, I'm currently writing a apocalyptic/sci-fi zombie novel, a hardy boys type middle grade mystery novella, and now a middle grade ghost story novel. I don't think I'll ever go to the horror genre but who knows. Dan Wells wrote tons of epic fantasy novels to go on to write supernatural thrillers and dystopia successfully. Who knows where I'll end up. As far as I'm concerned I'm just going to keep writing the stories that come to me no matter what genre they're in. Someday I'd love to write a series, but I have a long road ahead of me still with lots of learning to do. If I have as much fun as I have writing so far, it's going to be a great journey! I hope it will edify you here on this blog as I keep writing about writing. 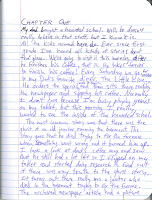 Below are a few links to some of those blog posts and forums I read where people share how writing longhand has helped their fiction. It is a very interesting topic. The first one is particularly fun because you can listen to it and Patrick E. McLean reads very well.